Roman "bow-pullers". 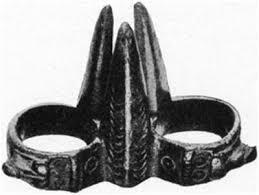 These objects have been found over centuries in Greek, Etruscan and Roman sites, but because of the differing length of the three prongs it is claimed that they cannot all be bow-pullers. Many different uses have been proposed, including as a dentist's "tooth-key" for pulling teeth! One scholar believes they simply served some decorative religious purpose. 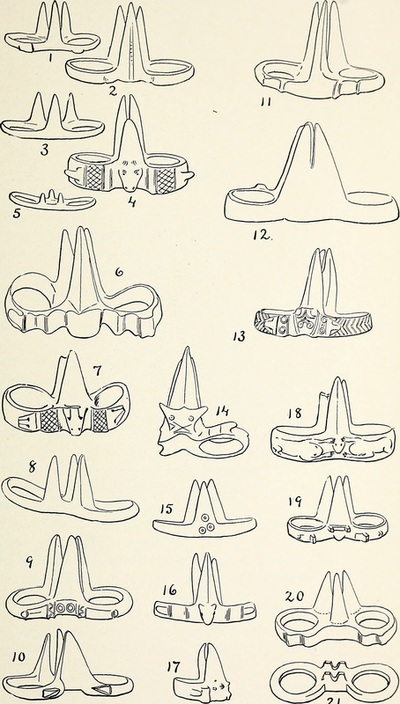 I reckon they still seem as bow-pullers, but what an interesting puzzle if they aren't.